It is 3000 BC. The cult of the Earth Goddess is controlled throughout the vast empire of Europe by the secretive and unscrupulous Red Order, the priesthood which manipulates all power for its own ends. The land that is now called England has been annexed and its lord, Brennis Gehan Fifth, betrayed and murdered. The Lady Altheme, his consort, has escaped to the forest. She is carrying his son, Paoul, rightful inheritor of the Valdoe domain. But his inheritance is usurped by his illegitimate half-brother. Ignorant of his parentage, Paoul is orphaned, sold into the priesthood, and sent to the mainland citadel for instruction. His teachers predict a great destiny for him. Only later, beyond the point of no return, do his doubts begin ... 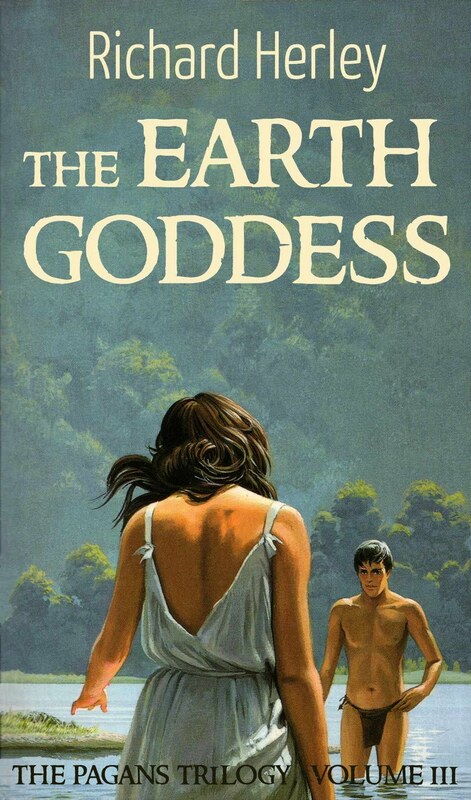 This remarkable novel, complete in itself, follows The Stone Arrow and The Flint Lord and concludes The Pagans, a trilogy whose theme finds form in Paoul’s disillusionment and in his illicit passion for his half-brother’s wife, the gentle and beautiful girl who becomes for him the true Goddess of the Earth. The story of their love races to a climax of tragedy that signals devastating consequences for the evil men of the priesthood and the empire. I have a soft spot for this book. After The Flint Lord, I read a good deal more about the late neolithic, particularly with respect to the achievements of Stonehenge and Newgrange. These are the works of a sophisticated priestly class, with a highly developed religion. The Earth Goddess is a speculation about that. The Bronze Age is just beginning; so too are the profound, far-reaching, and ultimately disastrous consequences of the invention of agriculture. Richard Herley’s dour novel The Flint Lord described a military conflict in ancient Britain that ended in the defeat of the native, nomadic inhabitants. This sequel, the concluding book in Herley’s trilogy, The Pagans, shifts its focus to the powerful religious order that controls the empire. While the illegitimate heir to Britain - the stammering, brain-damaged Hothen - is groomed to ascend the throne, the rightful heir, his half-brother Paoul, has been orphaned, raised by the nomads as their own, orphaned again, sold into slavery, bought by the priesthood and finally curried as an exceptional student with a great future. Inevitably, Paoul discovers his true heritage and falls in love with Hothen’s wife. This highly melodramatic plot, however, contrasts with the appealing characters and the intriguing historical detail of taxes and trade, textiles and theology. Love, religion and destiny intermingle in a strong plot in which a young man realizes his special powers and difficult choices. 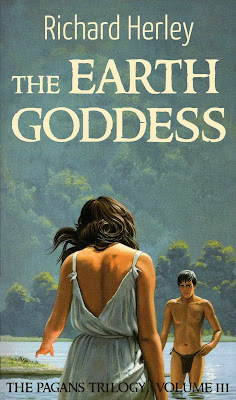 One book that manages to get away from the beaten track is The Earth Goddess by Richard Herley ... The first two books in the Pagans trilogy were a gripping vision of pre-history, a brutal forest world of ambush and enslavement. The cult of the Goddess now grips the land, operated by the sinister Red Order, a kind of sacerdotal Krypteia whose methods of indoctrination blend Zen with the public school ethos, while a young hand-picked novice begins to smell the truth. The portrayals of village dwellings, religious ceremonies and ancient culture are well done and convincing. This is not a novel which insults the reader with glib action scenes, and its sense of daily household detail is a steady delight. Commendable.